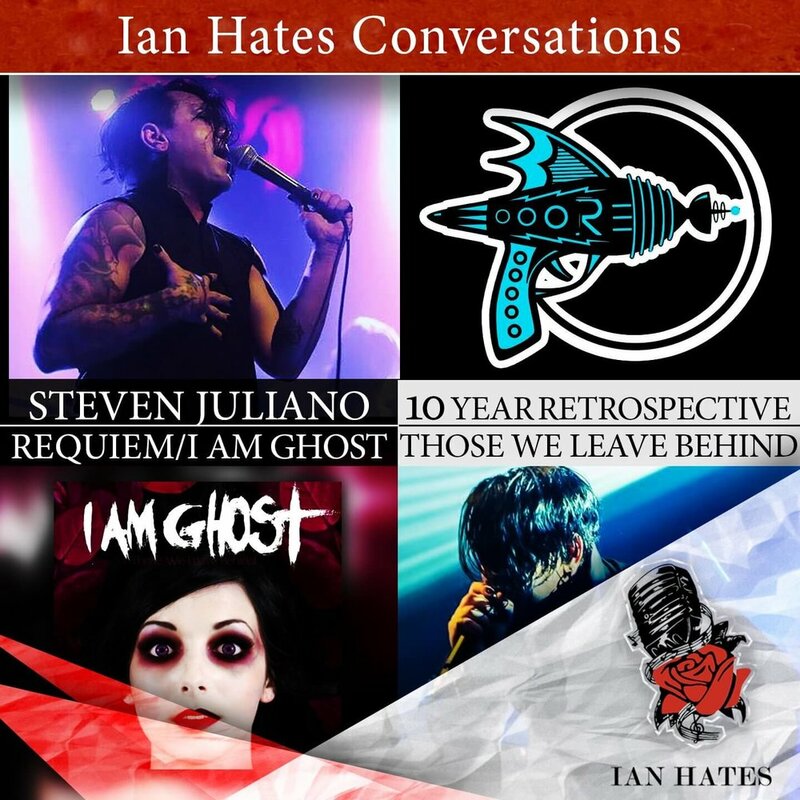 Friend of the show, musician, artist, writer, and designer, Steven Juliano returns to Ian Hates Conversations: Music Edition! Steven was the vocalist and songwriter for some of Ian's favorite bands, I Am Ghost and Requiem! Ian is excited because Requiem is back and Steven goes into great detail about getting the band back together, future plans, and everything in between. Plus, it's the 10 year anniversary of I Am Ghost's sophomore album 'Those We Leave Behind'! Steven talks about the impact the album had and how things were different from 'Lovers' Requiem'. There's even more discussed like Warped Tour and the status of Steven's novel 'Lovers and Kings'! You're going to really enjoy this! Thanks again to Steven Juliano for coming back on Ian Hates Conversations: Music Edition! Ian can't wait to hear even more Requiem and hopefully catch Steven on tour! Look out for even more announcements coming soon!